Ok, I know it's been such a long time since I last posted something. I've been feeling really slack and I kept telling myself that I'll post something "today", but that "today" never seemed to eventuate...until today (6 weeks later ;P). Life's gotten so hectic and busy ....but in a good and productive way, I've always like busy as long as I'm doing something that I love. So I decided to block out an hour or two in my diary for this day and commit to posting something...... anything!! Since I started my little online store on Etsy, that's been taking a bit of my time. And with Christmas just around the corner, I've been making a lot of handmade items to sell at a Sunday weekend hand-made market @ Lane Cove for the 15th of Dec ...I'll make an announcement about it on my Blog Facebook page soon. There's also been a lot of progress on the home reno's but I'm not ready to post anything about it yet. And we have a few new furniture pieces that arrived last week but I decided I'm going to do a room 'reveal' with them included in it instead of doing progressive posts. Good news is, our house (top level) is finally coming together. It's comforting and rewarding to see the changes and how far we've come. Jeff and I now call it home =), and I'm excited to share them with you. So today, I decided to share my little outdoor project that's been sitting out on the balcony for a while which I've been working on drib and drabs for the past month. I finally got to finish it today! YAY!! 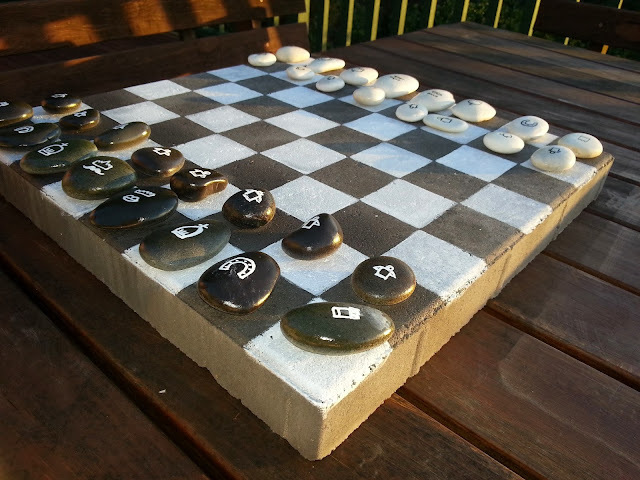 It's my DIY Outdoor Board game (Chess / Checkers by flipping pebbles over, minus the 4pcs) . I haven't played since year 9 and I remember never being good at it...but I'm not so bad with checkers. 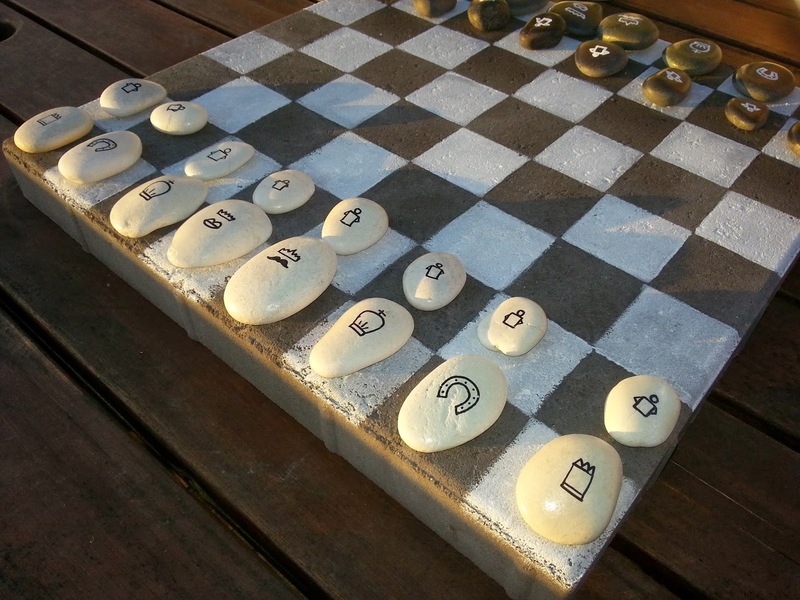 I decided to make it especially for my guests, so they can play whilst they're chatting or drinking tea on our balcony on a nice day. And I'm also hoping it'll keep my nephews and nieces occupied whenever they come for a visit. Anyways, I'm pleased with how it turned out. It's quite simple to put together..you just need time, so below is how and all the materials I used. And I know for a fact it will last a long time and withstand any weather mother nature decides to throws at us, mind you we've been having extreme weather changes lately (four seasons in one season) and this outdoor board game hasn't budged one bit. I don't feel the need to include any more instructions as I think it's pretty straight forward how to make it. 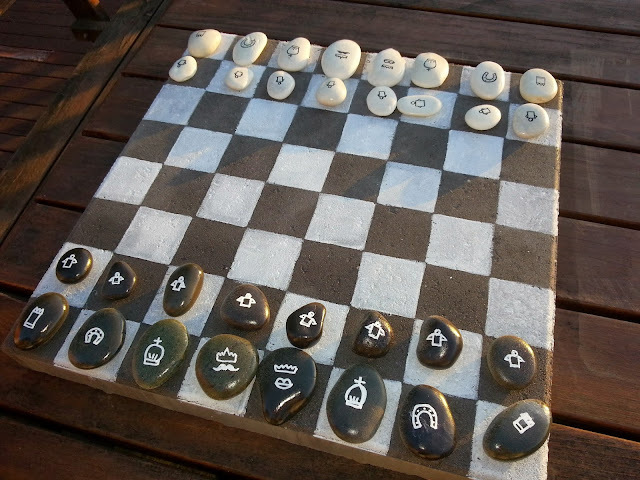 I guess all you would need is a bit of creativity with the symbols to use and some measuring skills. But I suggest to refer to a chess board as a guide to mark and measure out your squares equally and proportionately according to size of your paver. 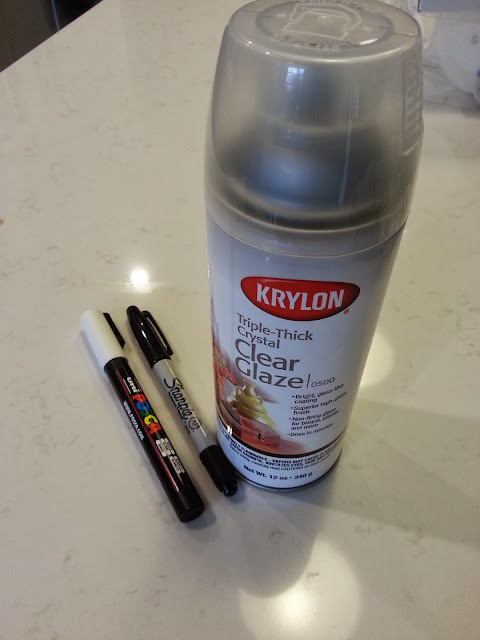 And spray the pebbles and the concrete paver with two generous coats of the acrylic paint so that the paint and symbols don't fade easily from the harsh outdoors. And tadah!.. you're done!! Ok. Hope you guys enjoy this post. I'll make sure I do another one just before Christmas.